30 days of new POTUS: Are Trump’s policies dividing America more than ever? 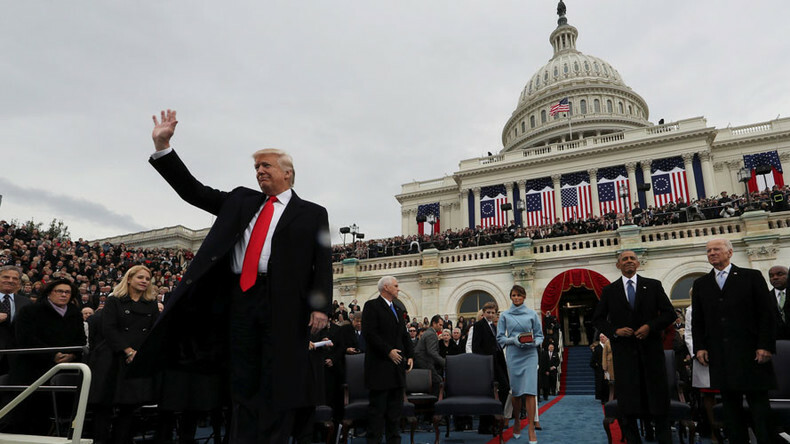 A month into Donald Trump's administration, the US has found itself in quite a turbulence, with the new president's policies seemingly dividing Americans more than ever. Since Trump took office on January 20, he has accomplished a lot, having already signed some two dozen executive orders in the first crucial weeks of his presidency. Among a myriad of issues, Trump has considered how to tackle Islamic State (IS, formerly ISIS/ISIL), mulled new sanctions on Iran and has advanced US border security measures. However, there's been deep division over the new US leader's policies. Massive, and at times violent protests have sprouted across the country, and America appears to be as divided as ever. Since he took office, a lot of Americans seem a lot angrier, and political views far more polarized. But despite Trump's cabinet nominees not being very popular in the other camp, Democrats have been unable to block their nominations. "It is time to get over the fact that they lost the election," Senate Majority Leader Mitch McConnell (R-KY) has suggested. Trump's tendency to play rough with the press, or as he puts it, the "running war with the media," might add to either side of the political divide. While the mainstream media is definitely no fan of the new president, such adversarial relations might be a "good thing," according to some analysts. "I would argue as a journalist myself that it is actually a good thing for the media to have adversarial relations with the president of the United States and with the US government. They should have had one with Obama and they should have had one with George W. Bush, but they didn't. This is couple hundred years too late, but better late than never," US political writer and cartoonist, Ted Rall told RT.